Actor Varun Dhawan shares his opinion on relationships and if a biopic is on cards. Actor Varun Dhawan is back with a period-drama film Kalank that also stars Alia Bhatt, Madhuri Dixit Nene, Sonakshi Sinha, Aditya Roy Kapur and Sanjay Dutt. A rare assembly of cast, this Abhishek Varman directional appears to be a heart-wrenching drama on a large canvas. The film’s trailer that released recently also points at complicated relationships. “One has to agree that relationships have always been complicated. In fact, relationships in earlier times were more complicated. In those times, marriages would happen at an early age and many would get married twice. However, some things that didnot occur in relationships of those times, are happening now,” says the Sui Dhaaga actor and adds that relationships in today’s ‘tinder’ age are very different. “Earlier people would give more importance to their relationships but in today’s time, that importance has deteriorated to an extent. Earlier anyone in a relationship would unhesitatingly say that they want to stay in their relationship for saat janam (seven lives). Nonetheless, maybe such love does exist but the premise in our film Kalank proves this,” he goes on to say. Since his character in the film appears aggressive, is it a similarity to his personality in real life? “In real life, I am generally aggressive. Most of my friends keep asking me to calm down. However, I am happy I got this character (Zafar) in which I could harness my anger,” says Varun. Moving ahead, another genre that is gaining popularity these days is of biopics. And now since Varun has done a period film, does the genre of biopics interest the actor? “Recently a lot many biopics are in the making. A few have released, while a few are yet to release. I do not like to follow the herd mentality but I am in talks with someone who is making a biopic. However, I cannot confirm anything right now. 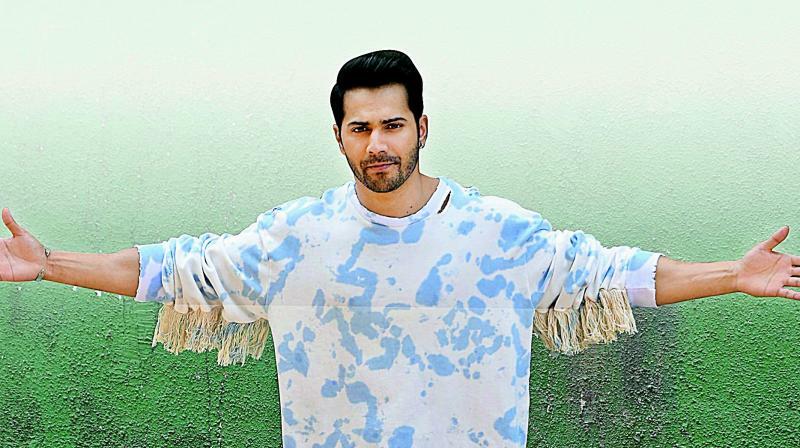 Until I get the permission to speak about it, I cannot reveal anything,” says Varun who also has Street Dancer releasing later this year.